Environmental changes and destruction of forests is common in today’s world. But it is hard for us to visualise the negative impact of these changes or imagine the root cause for it. The caribou, also known as the reindeer, has been migrating to the Tundra in the Alaska’s north coast for over a millennium. More than a hundred thousand animals migrate to this landscape at a particular time to feed on its lush green vegetation. For many decades the natives and researchers have observed this spectacular migration, which is similar to the wildebeest migration in the African Savannah. Many years back, there was a sudden drop in caribou numbers. Thousands of animals vanished from the herd. This baffled the scientists. Studies revealed that mosquitoes were the reason for the disappearance of thousands of caribou! These mosquitoes are usually in the larval form hidden in the vegetation when the caribou feeds. These larvae hatch after the caribou completes its feeding months and migrates to another place. This has been the routine cycle. But due to climate change and global warming, the rise in just one degree of temperature hatched the mosquito larvae, which coincided with the caribou’s feeding months. To escape the mosquitoes sucking their blood, the caribou started to climb the mountain slopes covered with snow. Thousands of caribou started to die due to harsh weather and lack of vegetation on these slopes. This is an example of how everything in nature is closely interconnected. The migration of caribou could never be the same like how it was many decades ago. There are numerous stories like this around us. How did our environs look like in 1920s, 1940s, 1970s and 2000s? You could find this if you love Sherlock Holmes styled investigation clubbed with an interest in environment. Ask questions, read books, think and imagine how forests would have been during your parents’ and grandparents’ time. Talk to them to record their memories of nature when they were young. 1. Did the rains arrive on time? Were they consistent? Did it rain for the complete monsoon period? 2. From where did you get water those days? How clean was the water then? Know about your nearest water source. How has it changed with the times? 3. What kind of garbage was produced many decades ago? Did you reuse any of the garbage? How did you dispose the rest? 4. What were the trees and birds you saw? Do you see them now? If they have disappeared, what do you think could be the reasons? Each unique memory is a treasure to remind us of the loss of forests and wildlife at an unimaginable level during the last few decades. I hope the stories that you find will bridge your gap with nature and propel you to conserve the natural world around you. One of the effective ways of contributing towards environment is by practising conservation in our everyday lives. It starts with reducing our impact on the environment, composting organic waste and by recycling our waste. This is the core message during many of our outreach programs. We are glad that N.S. 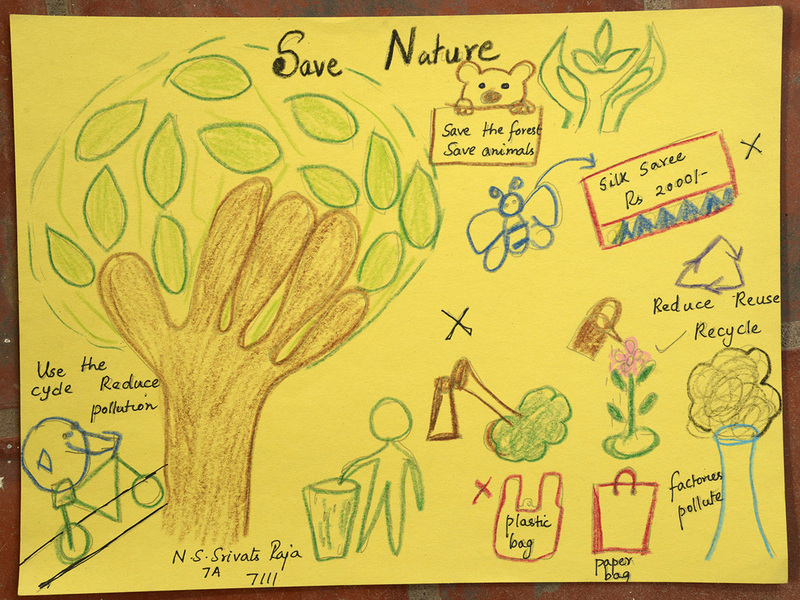 Srivats Raja of class seven assimilated message of daily conservation and came up with this drawing below. If every one of become ecologically conscious citizens practising conservation in our everyday lives, the world will be a better place to live. 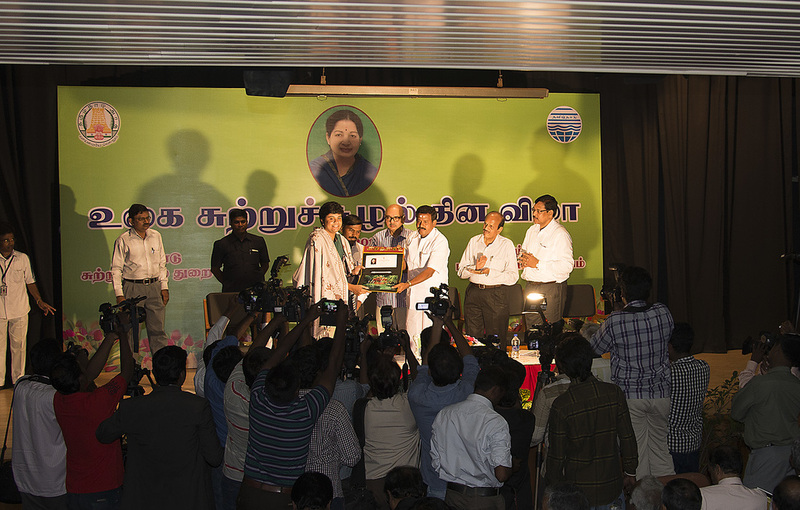 K. Ramnath Chandrasekhar received the 'Sutrusoozhal Sudaroli' (Torchbearer for environment) award from the Tamil Nadu Government during the Environment Day Celebrations on June 5th 2014. He was chosen as the recipient for the environmental Education category for his work in reaching out to around 50,000 students in Tamil Nadu using films like 'The Truth About Tigers' and 'Save Our Sholas'. Speaking at the function which was also attended by many he emphasised the uniqueness of India as the most diverse country on earth. "...There is no other country on this planet which has rainforests, snowcapped mountains, mangroves, coral reefs, deserts and a variety of habitats all in one geographical boundary. Mountains like the Western Ghats and the Himalaya play a crucial role in the formation of monsoon and they are also the origin of major rivers that support millions of people in India. It is important that everyone of us play a crucial role in protecting India's natural heritage." We congratulate Ramnath for receiving this award. 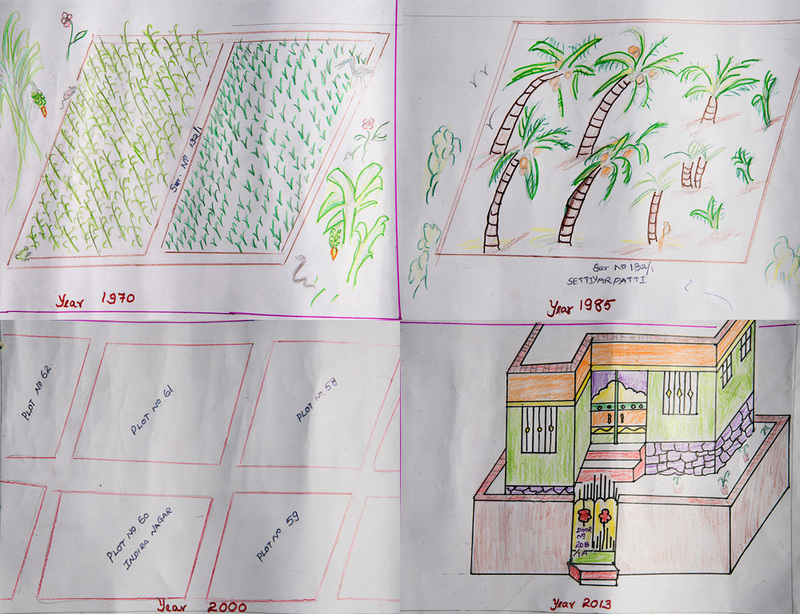 Engaging students once every month in a structured program for a period of six months gave us new insights into the perception of students and teachers on nature, environment and conservation, and the education curriculum in Tamil Nadu. The innovative nature of the program design enabled by using a combination of wildlife and conservation documentaries, curated screenings, interactive activities, alternate teaching methods and regular follow-ups with students and teachers is one of its kind in conception and scope. Sustained student interest in the program over six months, their active engagement and participation during the sessions and in the additional activities affirmed the need for alternative and creative ways of teaching about the environment and wildlife. The learnings from this program will guide us in conceptualizing and conducting future programs for students. 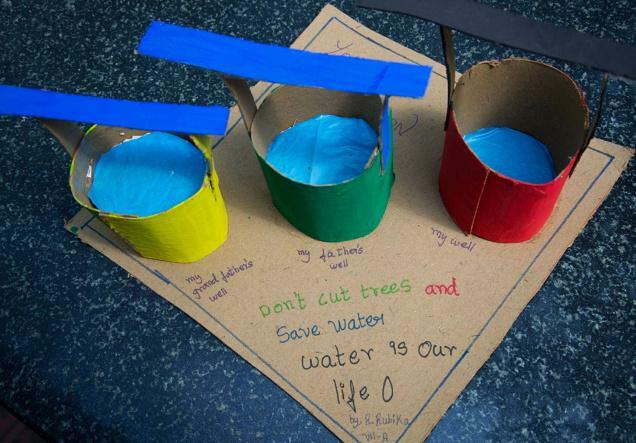 We believe these will nurture young people to become ecologically conscious individuals and daily environmentalists.